Here are our favorite Super Bowl snacks and appetizers — from dips to chicken wing recipes — to get your party off to a strong start. Just like the kickoff at the beginning of a football game, the snacks and appetizers you put out at the start of your Super Bowl party will set the tone for the rest of the evening. But you don't want your guests to fill up too much at the start or else no one will touch that chili you slaved over. The idea is to get them excited for the chili. Just like the players, your guests must endure. 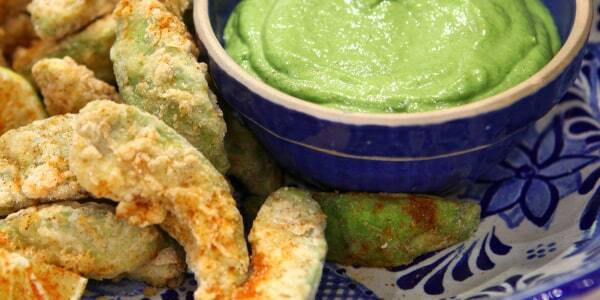 So, we've rounded up our favorite finger-food football recipes (say that five times fast!). From dips to nachos and wings to sliders, here are 13 Super Bowl snacks and appetizers to kick off your party just right. 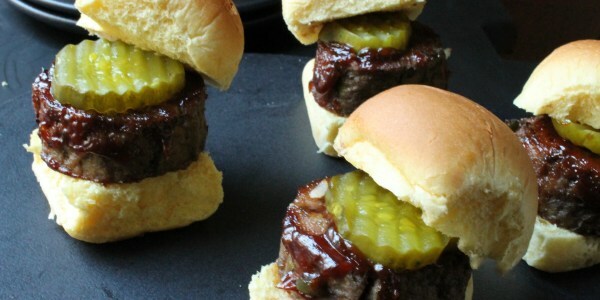 This recipe proves that there's need to form dozens of patties to make sliders: Just make mini meatloaf logs, slice into individual bites, slather with barbecue sauce and serve! If you only serve one dip, this is it. 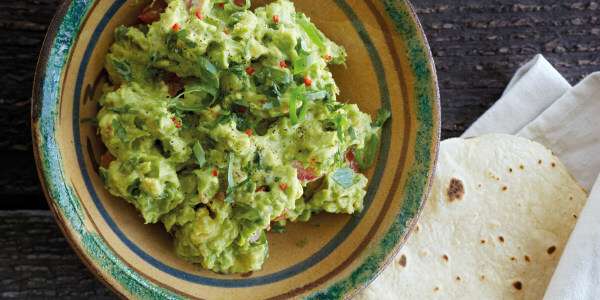 Guacamole is Super Bowl party must-have. Period. 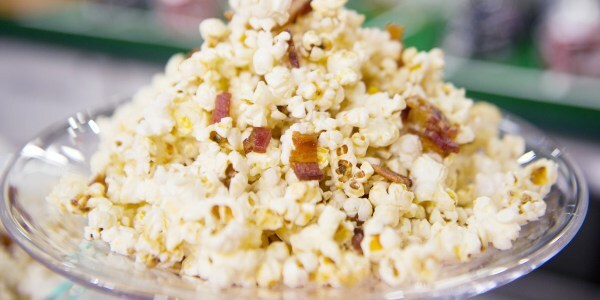 Add some pep to your popcorn with maple, butter and bacon. This sweet and salty treat will satisfy all your snack cravings. 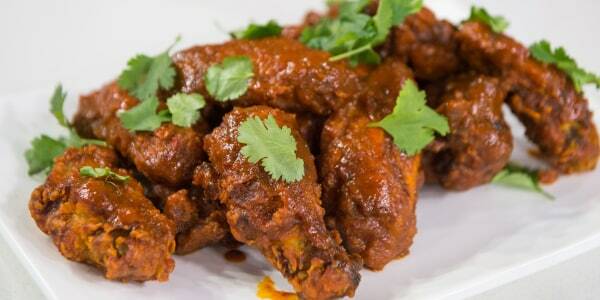 Aside from being incredibly crispy, the curry sauce on these chicken wings hits all your taste buds: sweet, salty, sour, spicy and umami. Warm chicken chili verde is delicious on its own, but load it on top of nachos with gooey, warm cheese dip (queso fundido) and you've got an irresistible tailgating dish. 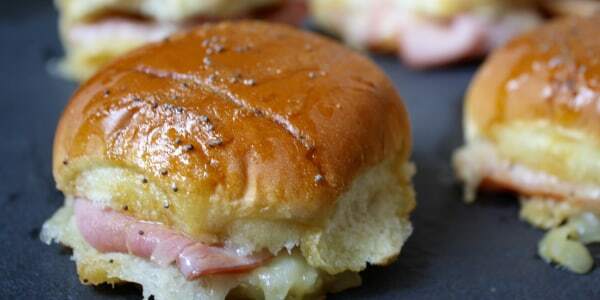 These warm, melty ham and cheese sliders with a buttery, tangy sauce are a snap to make and a serious crowd-pleaser. 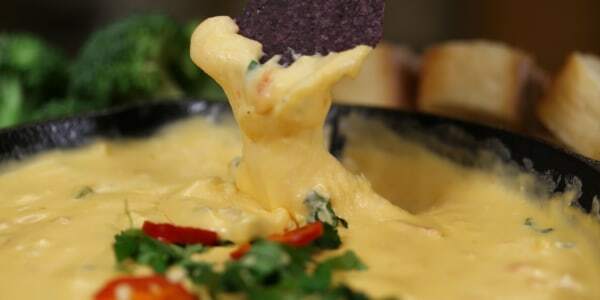 This creamy queso dip, made fresh with real cheese and vegetables, heightens the glory of victory and softens the agony of defeat. 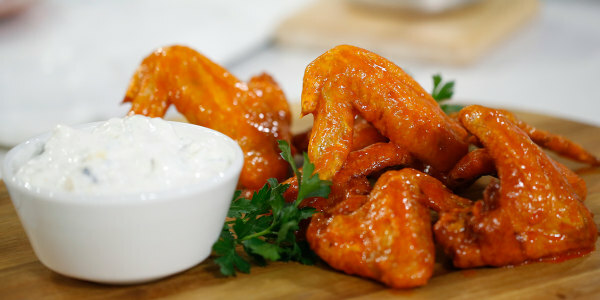 You can't go wrong with Martha Stewart's classic version of Buffalo wings with a blue cheese dip. 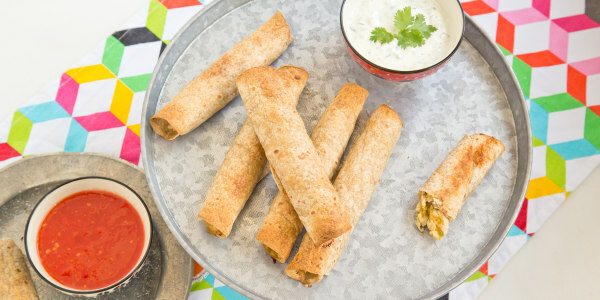 They're a crowd-pleasing dish for any get together — especially for a Super Bowl party. 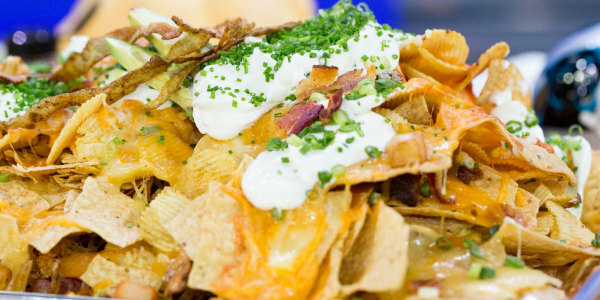 With bacon, potato skins and two types of cheese, these nachos are obviously over-the-top — but hey, it's the Super Bowl. 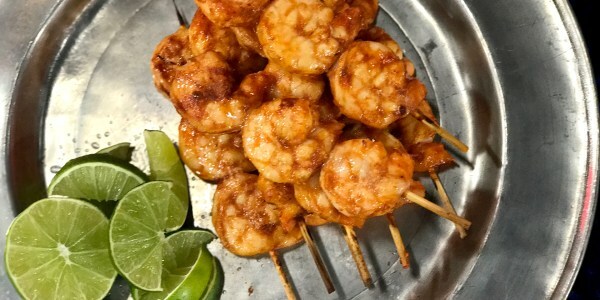 A can of chipotles in adobo is your secret weapon for making these 3-ingredient chipotle-shrimp skewers. 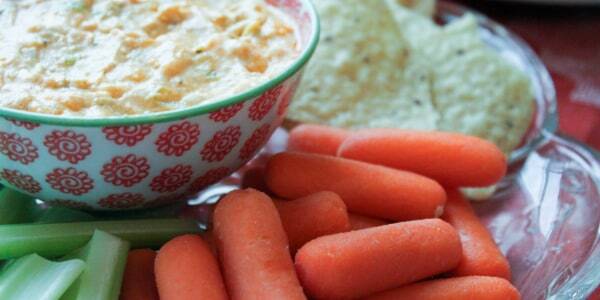 All the flavor of classic Buffalo wings in a scoopable dip! 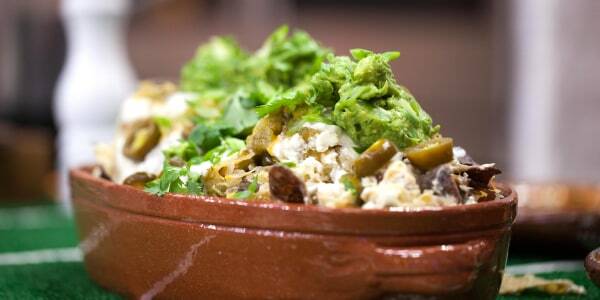 Like tacos but with fewer chances to have your fillings spill annoyingly out of the shell. Crunchy, creamy and delightfully decadent with just a drizzle of hot sauce or a dip in ranch dressing.